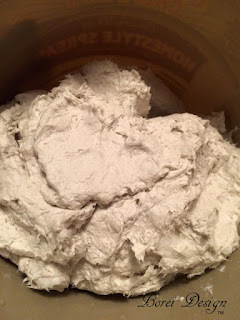 Recently I decided to see if I could make my own air dry, paper clay to use on some of my paper mache projects. I ended up with a really great clay that can be used not only for paper mache projects but for many other sculpting projects as well. It was super easy and inexpensive to make. You will never believe the main component I used to make this clay...a roll of toilet tissue paper. Seriously. Here's the recipe and instructions on how I did it. 1 Roll of inexpensive toilet tissue paper. 1. I took the cheapest roll of toilet paper I could find (four rolls for $1 at a local dollar store), removed the center tube and soaked the tissue roll in a container of hot water until all the fibers completely broke down. The thinner, less expensive stuff is great because it breaks down easy. 2. I strained all the water from the bowl and then hand squeezed out all the absorbed water I possibly could from the paper fibers. I pulled into chunks and measured out 2 cups. 3. 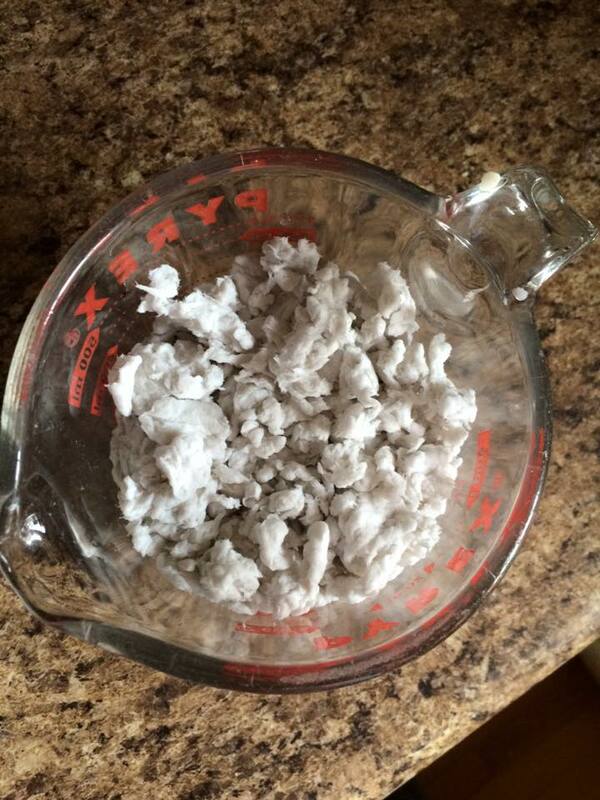 I dumped the measured paper, joint compound, Paper Mache paste, flour and mineral oil in a mixing bowl. 4. I mixed it all together using a hand mixer for about 3 minutes and it was done. Store in air tight container or bag in the fridge. Awesome, I can't wait to try this, thank you, for sharing. where can I get mineral oil from? You can find mineral oil with bath and body supplies at Walmart, Target, etc. wonderful idea, What is joint compound? Joint compound is what is used to hold together drywall, and is available in places like Home Depot or Lowe's. Is this the right mineral oil http://www.walgreens.com/store/c/walgreens-mineral-oil-intestinal-lubricant/ID=prod5593964-product? Home Depot or hardware stores should carry the joint compound. PS....joint compound is used to patch holes in plaster, kind of like spackle. Not sure of the exact difference between the two (without researching it) but it should say joint compound on the container and most stores should be able to help you find it. Joint compound and "spackle" is one and the same. I use it to smooth out my diorama bases. 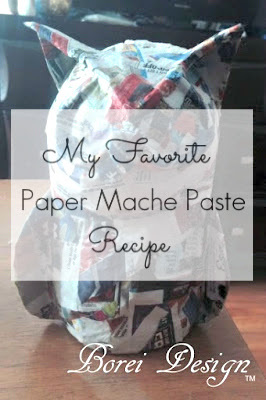 I want to give this a try, but what is Paper Mache paste? Joint compound is used for joining sheet rock seams. It can be used for repairs and is referred to as "spackle" by some. I`ve used it for diorama bases and for smoothing out scratch-built terrain features. I use the multi-purpose "filler" these days. I want to give this a try for one of my bases. Thanks for the recipe! I found the mineral oil and the compound, but now where I find the cheap toilet paper? Joint compound is not the same as spackling compound. Spackle is used for patching walls and such. It dries very quickly and is very lightweight. Joint compound can be used for patching but is primarily used for drywall installation to fill in the seams. It takes much longer to dry than spackle. In a recipe like this, I would stick to joint compound. Unless you're experimenting. I would be curious to try spackle just to see the results. Thanks for sharing this idea! Can't wait to do this I love when people share the talents with others . !Do you need mineral oil can you use regular shortening liquid or veggie oil ?How do you make the paper do you spread the paste out and let it dry ? Thank-You for answering my questions .When I get my project done I'll send a picture . I have made a similar clay recipe, but the clay is very stretchy/doughy like working with bread dough. Does your recipe turn out stretchy? I've been trying to find a recipe similar to the store bought Creative Paperclay brand, but haven't had any luck yet. Do you know if this has potential to last for a long time before it would crack or fall apart once it became a formed sculpture? After you make something with this paper clay, how long does it take to dry? Thanks so much for stopping by. It should dry within a day or two in a warm, dry environment. You can always speed up the process by warming it in the oven on a low heat seating. 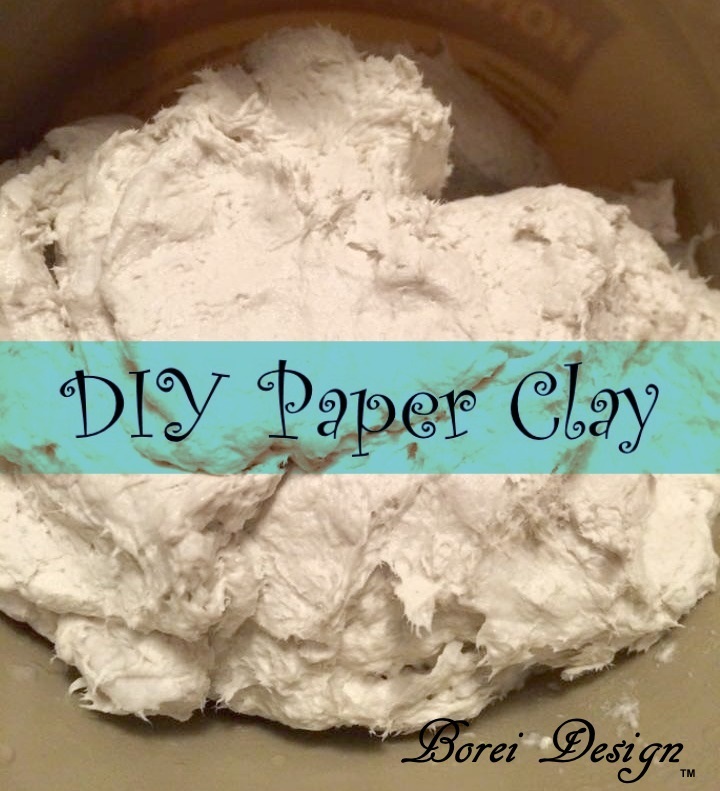 Can you make jewelry with this paper clay? If I haven't done it yet, I would love to invite you to share this over at #bloggerspotlight link party. It runs every Thursdays , 7pm until Sunday 11pm PST. Hi, I just made the clay but it seems dry. Is it ok to add water? Also, how long can it be stored in an airtight container for? I haven't heard about it. The process is seems simple. I will try it. Question: Have you used Creative Paperclay, and if so, is this clay similar in consistency and workability? I try to make high-detail works, so before I try this I need to know if it takes a lot of detail. After its done, does it will break apart if I use it for a mini toilet with water? I wouldn't recommend any type of paper mache to hold water. I have seen people have some success making outdoor sculptures using some type of wood deck (boat) sealant but I've never tried it personally. The clay or flour won't spoil as long as it's dry. 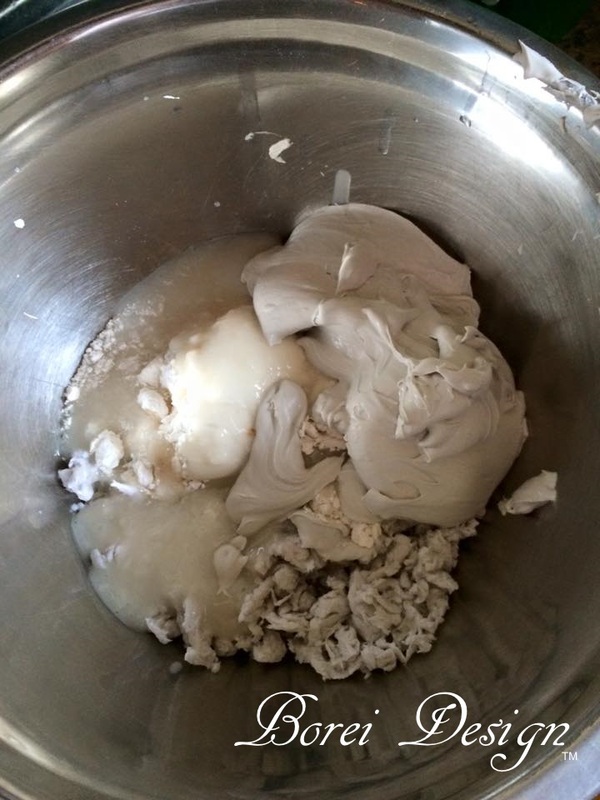 If you leave wet clay in a tub it will spoil after a while. If you store it (wet) in the fridge it will last a little longer though. Can you use this in molds? Also, does it need to be sealed? I've never tried it in a mold but I think it's a really good idea. It probably would! As for sealing it I don't think it's absolutely necessary but it definitely doesn't hurt. It gives it more of a finished look to me. I dont have "joint compound" but i have all kinds of caulk like sealant, liquid nails, etc. Will any of that stuff work instead? Honestly, I do not know. I've never tried without joint compound. Sorry, wish I could help more. Where can I find in Belgium paper-mache-paste ? Hi this a complete recipe to make paper mache paste. All the items used are common household supplies so you should be able to make it in Belgium. As for what you use it for there are lots of project ideas on my site. Just go to the home page of this site (www.boreidesign.com) click on the project menu drop down on the right hand side bar and click on the paper mache section. Hope this helps. Thanks so much for stopping by.